Following our William Hill Scottish Cup match at Aberdeen on Sunday we return to league duty against Dundee United this Saturday. We've not had too many home games of late but the game against United is the first of back to back games for us at Palmerston. Manager, Gary Naysmith was proud of the players for their efforts at Pittodrie and is hoping they can carry that into the rest of the league campaign. "First of all, I want to say a huge thanks from myself and the players for the great support at Aberdeen last weekend. I thought the lads put a great shift in and for about an hour of the game we were a match for the team that has been the 'best of the rest' in the SPL for the last couple of seasons. We can look back and say that maybe a couple of their goals were avoidable and that it certainly wasn't a penalty-kick but there are more positives than negatives to take from the game and I am sure our boys will learn from the experience. I was pleased that we didn't let our heads drop and let the game run away from us. The 4-1 scoreline was very harsh but the boys stuck at it and we defended well until the end of the game. When the opposition can bring on a substitute at half-time who has more than 50 international caps, then you know it's going to be tough. We certainly scored the goal of the game, that's for sure. It was a terrific strike from Dobs and it deserved to be more than just a consolation goal. All in all, I'd like to think that we did the club proud and the reception that you gave the players at the end showed that you appreciated the effort and commitment they put in. Our cup run is over and we have been focusing on our game against Dundee United. They've had a big turnaround in players during the January transfer window and, in my opinion, they now have the strongest squad in the Championship. But all we can do is concentrate on ourselves and I am more than happy with my squad when we have everyone available at the same time. We have thirteen league games to go now and the aim is simple - to gain as many points as we can. I expect a few more twists and turns before the end of the season so there's much to play for. Following their injuries in recent weeks, Josh Todd and Nicky Low are touch and go and Fraser Aird sits this one out due to the SPFL rules that he can't play against his parent club. However, Iain Wilson who was cup-tied last weekend is back in the squad". Visiting supporters should note that sections six, seven & eight in the BDS Digital (East) Stand have been set aside for them and that they should enter via turnstiles three and four. Entry to the game is by ticket only. The Arena ticket office will be open for both sets of supporters from around 1130 with the BDS Stand ticket office opening around half past one. There will be catering outlets in the BDS Stand for both sets of supporters, however catering is also available in the Arena café where a full menu is available before kick-off. There are currently roadworks on the A701 and A780 roads around Dumfries that may affect travel times to Palmerston Park however fans should check the Traffic Scotland website at http://trafficscotland.org/index.aspx for confirmation and of any other delays. The current weather forecast for Dumfries around the time of the match is overcast but dry. All spectators are required to abide by our policy to cut out unacceptable behaviour. Ahead of kick off, our Saturday soccer club will be running at the Arena for Primary school children from half past 12. The usual great value of £10 (£8 for Junior Blues) which includes two hours of coaching, fun, games, lunch and entrance to the game between Queens and United. 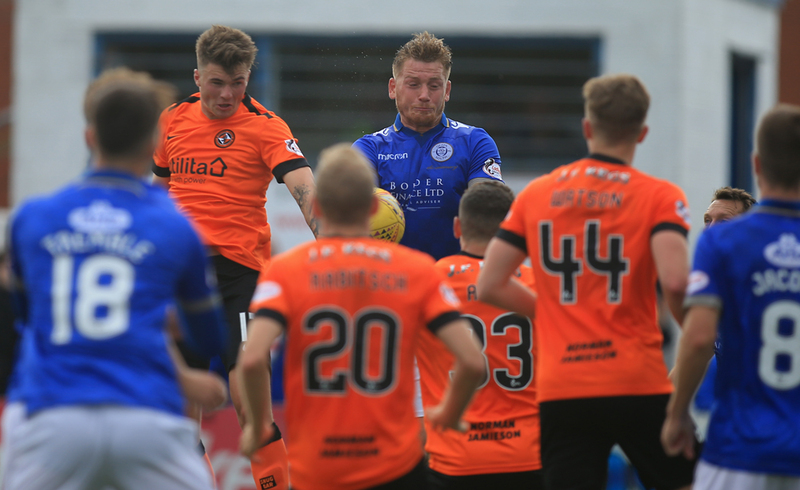 Kick off at Palmerston on Saturday is 3pm.